Experiencing non-dualistic spirituality, quickens ways to change beliefs and heal. 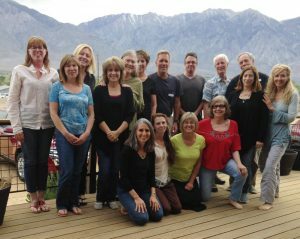 ThetaHealing® Technique workshops are dynamic and life shifting. They continually evolve as information is tapped into by Vianna. Her refinement of this information continues to make the sharing of ThetaHealing® Technique easier to understand and to practice. I use lecture, experiential exercises and powerpoint as a blended way to create full and exciting days of fun, creativity, learning opportunities, and profound healings. 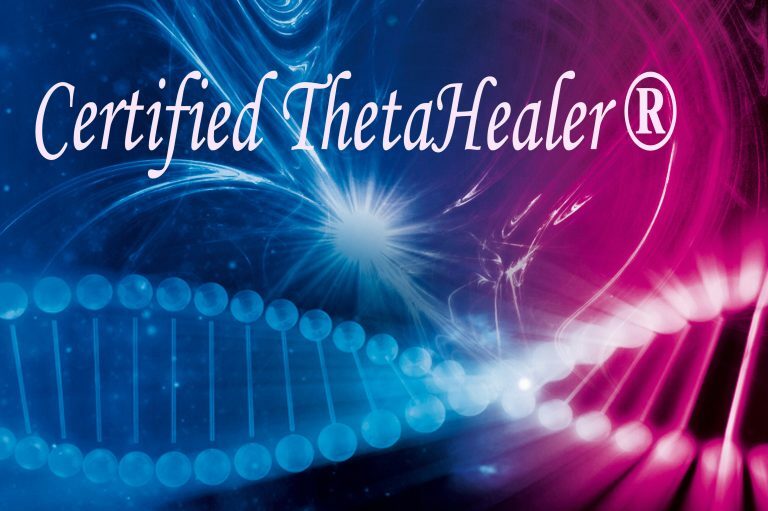 With the foundational level completed, there are many avenues to explore with upper division workshops that go towards becoming a ThetaHealing® Master or ThetaHealing® Certificate of Science, the highest level. A California nurse provider for CEU’s will approve 19 CEU’s for the Basic Level 1-2 and 18 CEU’s for the Advanced. Contact information and fee is on the Workshop Registration form that you can download. For California Acupuncturists, I am a provider, and four workshops have been approved-two for 19 CE’s, one is 13 CE’s and one for 12 CE’s, all in Category 1. There is a small $5 fee for processing the CE’s that includes a certificate. More details are under the Basic, Advanced, Dig Deeper, and You & Creator Workshops. Vianna has announced that all practitioners must renew their certification of the Basic and Advanced every five years in order to use the registered trademarked name of ThetaHealing® Technique. You can also recertify the Basic and Advanced by taking the 2-day Dig Deeper workshop. Any former students are welcome to participate in these trainings along with new students whether you simply want an opportunity to review what you’ve previously studied and/or renew certification. I offer former students special pricing if their last certification was less than 5 years ago. *There is a Special Grant program for the Basic & Advanced Workshops. Download the pdf to read and/or apply if you feel you meet the requirements. This is not applicable towards Nursing or Acupuncture CEU payment. All courses that I teach are certified to apply towards requirements for the ThetaHealing Institute of Knowledge® (THinK®). Bring ThetaHealing® workshops to your area. The Workshop organizer will receive free attendance, the workshop will be listed on my website and Vianna’s website, plus there is financial compensation for each student enrolled. You are welcome to contact me regarding available dates, minimum number of students and other related information so that I can bring these expansive and creative teachings to your area. You want to learn with an experienced Master Instructor of 20 years who deeply lives from the work that is taught. You appreciate psychological wisdom blended with a grounded spiritual application. You want to learn about and receive healings all through the workshops. You will have opportunities to look more deeply at yourself, your patterns, and start to change beliefs that are limiting or sabotaging you. You want to learn many amazing new techniques and practices for your spiritual healing ‘kit’ and to awaken your intuitive abilities. The workshops are taught to build on each other at a deeper awareness from the basic skills. You want to understand how to work non-dualistically while ‘playing’ in Creation. You want to experience connection, care and camaraderie with other like-minded people. Single 3-day workshops can receive a $20 scholarship if the full payment is completed at least two weeks prior. Packages are available if full payment is completed at least 2 weeks prior to the first workshop and attended within one year of first class taken unless discussed with Instructor. There is $100 deposit for each workshop if not paid in full at least 2 weeks in advance. This is not extra from the prices listed. The deposit fee is adjusted only if I’m teaching out of my area. 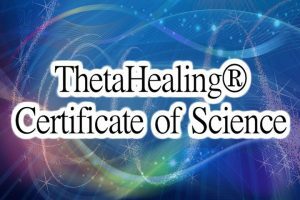 All ThetaHealing® practitioners who have trained in the last five years from a certified ThetaHealing® instructor are welcome to review or recertify. The energy of the class is very different from the Basic workshop. This workshop will deepen your awareness of the Seven Planes of Existence. Delve more into your digging skills, enjoy the relaxation of receiving over 400 Creator’s teachings plus new and fun techniques. This class is imperative to understand the richness and depth of ThetaHealing® Technique and is the second part of the foundational series. PREQUISITE: Basic Level 1-2 and Advanced ThetaHealing®. Please feel more comfortable with your digging abilities—being able to witness Creator’s teachings and the Four Level Belief work–to get the most out of the workshop. This is part of the foundational courses to take any further workshops. PREQUISITE: Basic Level 1-2, Advanced, and Dig Deeper workshops required from a Certified Theta Instructor in previous five years. Please feel comfortable in your digging abilities as well as witnessing Creator’s teachings and the Four Level Belief work to get the most out of the workshop. PREQUISITE: Basic Level 1-2, Advanced ThetaHealing® and Dig Deeper practitioner; OR Basic & Advanced Instructors’ and Dig Deeper certification are required. You will spend two days focused on exploring your subconscious mind, the sub-levels of the 4 level belief work, your motivations for your decisions and a deeper connection in listening to Creator of All. You will learn a faster way to discern and dig around your decisions you’ve made with the deeper motivations they have created. You will be more aware of what might block your deepest connection with Creator-of-All at the 7th Plane and what can help you stay receptive and clearer to experience your connection. You will feel a shift in resetting your mind in archiving your past and future memories. PREQUISITE: Basic Level 1-2, Advanced ThetaHealing® and Dig Deeper; OR Basic & Advanced Teachers’ certification and Dig Deeper are required. Please feel comfortable in your digging abilities as well as witnessing Creator’s teachings and the Four Level Belief work to get the most out of the workshop. We all want World Peace but what is really stopping this from happening? As the saying goes, “Let peace begin with me.” In evaluating this, do you have prejudices, hatreds, resentments, anger, grudges, feelings of disempowerment towards countries, cultures, religions and/or spiritual groups that you feel impede you from being the shining being that you are? Welcome to a dynamic opportunity to discover and release deep genetic and history beliefs of places you might never have experienced, release hidden feelings of discontentment, free your energy to travel anywhere and be with whomever you choose with a sense of wonderment and curiosity. Become a real Peacemaker. I have taken Basic, Advanced, Dig Deeper workshops and practicums from Judy in 2017. I would highly recommend that anyone wanting to develop knowledge and skills of ThetaHealing, take a class with her. Her lessons are well organized and enhanced with clear and beautiful slide presentations. But most important to me, was the encouragement and support in learning to practice ThetaHealing. Students are guided through the processes as they practice working together. She would gently step in when I felt unsure of my next step; always encouraging and positive. 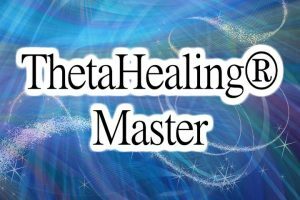 After my most recent class with Judy, I feel prepared to be able to start my Theta Healing practice. I am confident that I will be able to help the clients that I meet with. I was curious about ThetaHealing for a long time through friends and connections; and then personal experience in receiving a few sessions. Every person I spoke with highly recommended Judy. I took the Basic and Advanced (2017) with Judy. She has supported me personally to ask the hard questions of myself to knock the dust off my unresolved issues and move forward with my goals. She is enormously talented, intuitive, caring, and nonjudgmental. She brings a wealth of knowledge to the table and is delighted to work with curious people like myself. Judy has even developed complimentary curriculum on the healing of the inner child, a method I have watched personally with amazing results. As I grow in health, my work and school performance has skyrocketed and my confidence increases every day. I would highly recommend the ThetaHealing Technique to literally anyone. And as for a teacher – I’m so grateful to have found Judy. I attended the ‘Basic DNA Healing’ and ‘Advanced DNA’ workshops Judy led in early 2017. I found her to be knowledgeable and great at her craft. During only one part of the Advanced workshop with Judy, I was able to get closure on severe childhood physical trauma that I couldn’t resolve any other way I tried. The very next day, I experienced an increase in range of motion in the affected area. It seems the impact of the original injury completely disappeared. At another part of the same workshop, I ended a grudge I’d been carrying for 20 years. Clearing that out has made me more open to compassion and love in my day-to-day life. The more I do this work, the more effective I am with my family, my friends, and my clients. I confidently recommend Judy for ThetaHealing seminars and one-on-one work. I first found Judy years ago by receiving private sessions with her, which opened up some places within myself that I was not able to see prior. She supported me through some challenging times that actually gave me some awareness and relief, understanding and breakthroughs. Out of my curiosity, I wanted to learn more. I took her Basic ThetaHealing workshop in 2011 and then completed the Advanced workshop in March 2016. Judy is an amazing teacher! She is so clear, direct, compassionate, non-judgmental, and she creates a safe environment for students to work and clear on core belief issues. For me, these qualities are important part of the work. I find ThetaHealing more powerful then the average talk therapy. It’s strong and effective bringing more Light to Life! I highly recommend Judy’s work to anyone who needs support, safety, understanding and help in Moving Beyond! Thank you, Judy for your great work on the planet! I attended the Basic DNA and Advanced DNA classes in July ’16 with only one week in between. I liked Judy’s professional and methodical approach to the subject matter. And Judy’s passion for ThetaHealing was very inspirational. I helped myself while learning to help others. The exercises we did during the classes cleared so much of my junk, and I received a lot of beneficial downloads from Judy. I felt all of my chakras opening more and more as the days went by. When I returned home, everything was different. It was like I was learning to walk again with my new legs. I made a shift, and I like the new place I am in. Also, I am able to get in touch with Creator much more quickly now and my meditations are so much deeper. Taking Basic and Advanced ThetaHealing workshop in May and July 2016 gave me so many healing tools I can now use with clients, loved ones and bring to the world. I experienced a lot of healing during the classes as well as had many insights and realizations about my own patterns of reacting and behaviors. The workshops cleared up many of my personal negative beliefs and programs. My awareness was expanded, and beliefs that I wasn’t even aware of came to surface for clearing. I had a chance to change many during the classes which ultimately changed my life again. I have studied many healing modalities, and from my experience, ThetaHealing is the fastest way to change one’s life and clear out negative beliefs and programs from the subconscious. I am very grateful to Judy for this opportunity in healing and for introducing ThetaHealing in such a clear and thorough manner. She is an excellent teacher and is committed to providing quality training for practitioners. 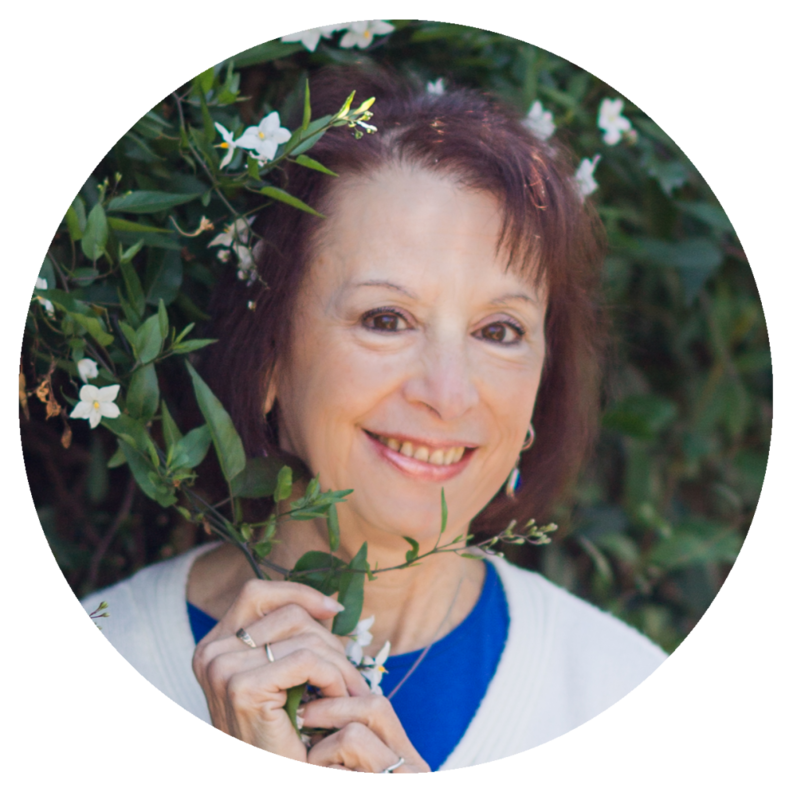 I have heard from others, who have taken ThetaHealing from other instructors that they haven’t learned many of the things that Judy has covered in her classes. If you are thinking of learning ThetaHealing, I highly recommend learning it from Judy to ensure you receive proper training. Thank you so much and see you at one of your online practicums ? 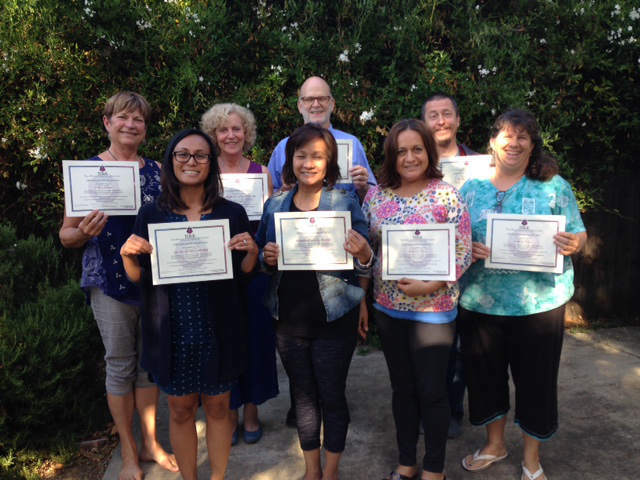 Deciding to take the ThetaHealing Basic in December 2015 and then the Advanced class in March 2016 from Judy, were the best things I’ve ever done for myself…they have changed my life! Judy chose me to do the digging in front of the class for the Basic. I have been living the last 20 years with a huge part me myself missing, lying to myself that I must have been healed from the brutal homicide of my mother, but I wasn’t. During the digging, Judy had Creator return a huge soul fragment back to me. I cry tears of gratitude just writing this! After the workshop, I was integrating and evaluating all the shifts and energy work that was done. I have to say that I am in an entirely new space. It is a profound shift, and for that, I am forever grateful. The other healings I experienced on a personal level from the classes are, in themselves, worth every penny that the classes cost. The Advanced class brought everything together that was introduced in the Basic. The tools and life skills I’ve learned are phenomenal…how to stay connected to Spirit and grounded simultaneously. Just doing the ThetaHealing meditation every morning has changed my life. Judy is a wonderful teacher. I loved her teaching style, hands-on exercises, and amazing PowerPoint presentation. She is passionate about her work, and I could feel her genuine love and support for every student as she connected with each one. I’ve finally found a potent modality that can truly help my family, my clients, and myself heal on so many levels. Thank you for loving humanity enough to teach us this wonderful modality. In gratitude! I met Judy in December of 2009 where she spoke to my area on ThetaHealing. I decided to then take the Basic Thetahealing in February 2010. Though I had a really good feeling about the Advanced workshop, I didn’t decide to take it until March 2016. I am so glad I did! Judy is such an amazing intuitive and teacher. She had the answer for every question our class could possibly ask, and her workshops are loaded with so much information and knowledge about Thetahealing. After the Advanced was over, I felt a huge shift in my life. I now wake up every day feeling wonderful…my depression is completely gone! I feel that it’s easier to love and value myself, that I am wanting to feed my body healthier foods. Judy has helped me heal parts of myself I thought were broken, and I will forever be grateful to her and the work that she does. Judy has definitely found her calling with ThetaHealing along with the sharing of it with others. I took the Basic with her in 2009, and literally waited to move back to my town to be able to get my Advanced certification with her in March 2016. She is clear, concise, patient, and warmly supportive. It is my plan to continue to work with her as a student and a client. I can’t recommend her enough! I attended Judy’s Basic DNA course and the Advanced Course in Feb/March of 2015. Judy’s teaching is clear. She responds to questions with an even greater depth of knowledge. After 32 years of being a psychotherapist, it is exciting to learn a new and profound way of working with clients. I understand now the enormous healing potential of ThetaHealing because of my clients’ experience in a new way of being in life through the Belief and then Feeling (Downloads) work after the Digging process. I have referred several of my clients to Judy who needed, very much, her expertise. I trust her…she has great integrity and a wonderful sense of humor. Please know that you will be in excellent hands learning from her. I have been blessed to have had incredible teachers in my life, and I am now even more blessed to add Judy Dragon to my list of teachers. I took her Advanced ThetaHealing course in March 2016. Judy shared her years of knowledge in a way that was easy for everyone in the group to understand, even complex information. I left feeling empowered and positively changed forever. Thanks sooo much Judy. I was graced to have Judy as my teacher for the Basic and the Advanced ThetaHealing trainings in January and February ’15. She is a unique human being and Master healing practitioner. Her knowledge, insight and love of ThetaHealing is boundless being able to address patterns as well as any traumas under them like a cat-scan. I watched her work with one participant clearing a childhood emotional wound and deep fear that had affected the person all her life that was gone in 40 minutes I witnessed her work with Creator to change acute pain from another student within seconds…completely gone. My personal experience was being deeply seen and cared for with profound insights into some of my earliest traumas. It allowed me to be able to see, be with, re-experience, with the possibility of breaking-free of, the grip that I had been stuck in my whole life. I found Judy to be wise, profound, compassionate, generous in her caring, and sharing a gift of God. 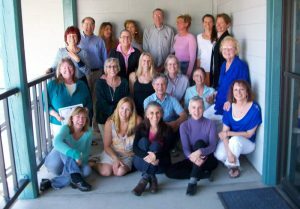 I was part of Judy’s Basic & Advanced ThetaHealing courses in the Spring of 2015, and it was incredible. I’ve previously been trained in Reiki and studied a few different healing modalities, and ThetaHealing is the most effective one I’ve seen so far. Judy is a fantastic teacher and uses her many years of experience to solidify the learning of concepts in her classes. Through these two courses, I’ve cleared memories from childhood and immediately noticed changes in my life. I’d highly recommend her classes for anyone who seems stuck in their lives or would like to easily change problems from their past. I had the very good fortune to do my ThetaHealing Basic and Advanced Training with Judy in December 2014 and March 2015. Judy is an amazing treasure, and I feel blessed to have been taught by her – her remarkably finely-tuned intuitive senses, combined with her solid, unwavering connection with All-That-Is, not to mention her extensive experience with ThetaHealing, make her a true master of this healing art, and an inspiration to her students. On the second day I was chosen to be the demonstration for the belief work in front of the Basic class. Judy intuitively knew I had an issue with a fear of heights and so we went into belief work on that topic. Under Judy’s expert guidance, I got right to the root of the issue, which took me to a traumatic experience in a past life where I had made the difficult decision to lead my tribe in jumping to our deaths rather than be annihilated by an invading enemy. Not only did Judy successfully facilitate the clearing of the fear of heights, but she also unraveled and cleared fears around leadership and discernment that had also sprung from that traumatic experience – all in a session that took a little over half an hour! I immediately felt lighter, empowered and more focused. I have since traveled over bridges and been on exposed cliffs that used to cause me great panic and confirmed that my old fear of heights has been completely changed! Even during the weekend of the training, I had powerful results from using the techniques on my family and am very excited to be bringing it to my healing practice. Theta is truly a healing modality of our time; one that can clear blockages, dis-eases, phobias and more in a matter of minutes! Thank you! In May 2014, I had my first amazing experience with Judy’s Basic ThetaHealing DNA. I was truly inspired by Judy’s accurate intuitive perception, and the information she receives from Creator-All-That-IS. Each day I woke up after a class, I thought, “So this is how it feels to wake up feeling loved unconditionally”. I am grateful for this new way of being, within and without! During areas of practice in class, I visualized the MS lesions I have had, changing and commanded Creator-of-All to release, resolve, and changed my beliefs surrounding the need to have Multiple Sclerosis. On June 2, 2014, a day after the weekend workshop, I had an appointment for a MRI of the brain. The results indicated that the lesions had lessened in numbers and intensity. This is a huge change from my previous MRI in Jan 2014, which indicated I had increased lesions and progression of disease activity. Other healings occurred while practicing the “Digging” technique. After I was released from hooks and chords, I felt a very deep sense of forgiveness towards my mother, a feeling of such awe and love towards her, for Creator, and for myself. I was speechless. I felt a sense of being grounded, and calm deep within. I felt like I had aligned so “perfectly” and deeply with Creator that I just knew I was going to be okay. The words I have for these instant healings and how I felt after this class is nothing short of an amazing Miracle! I find it difficult to express how truly grateful I am for Judy’s generosity in assisting me to take this course, for embracing my spirit, and for sharing so unconditionally the power of healing through the Creator-of-All. I look forward to sharing this amazing gift with others, and continuing the journey of self-healing! Thank you so very much. I met Judy in May 2012 when I attended the Basic ThetaHealing workshop she taught in Bishop, California. It was an amazing class, and I knew I wanted more, which resulted in taking the Advanced class. Judy is an excellent teacher and guide for this journey. I decided to start personal sessions with Judy and that was when I was able to see and feel the impact of her miraculous work as a healer. In May 2015, I decided to repeat the Basic ThetaHealing class to explore the foundations of the system that has been so helpful. I became more confident in the digging process, which is the key to unraveling the belief systems that act as barriers to health and joy. The hours spent in and out of Theta for the 3 days, along with Judy’s teachings and her ability to see into the essence of all the students through her connection with the Creator truly set the stage for many insights for all of us. Thank you Judy! Judy’s depth and breadth of knowledge about the ThetaHealing modality was clear as she taught each class. Her years of experience teaching and using ThetaHealing herself were invaluable in explaining all the nuances of the modality and answering any questions during the training easily and effectively. These ThetaHealing trainings were the true “game changer” in my life. I highly recommend them to anyone who is ready to take their spiritual growth and healing to the next level. As a long time Natural Therapeutics Practitioner, I have taken many workshops over the years. Judy’s instruction in the January ’14 Basic workshop was concise and clear. She kept the class moving in this very full curriculum. The class covered a great deal of information in three days, and there were many opportunities to move into the Theta state and become clearer in accessing the various techniques. The manifestation technique was especially powerful for me. My mind was blown over and over as we covered information of the potential of this modality. This is truly the new healing paradigm. I am making plans now for the Advanced Theta class. I have just taken Judy’s Basic ThetaHealing class in January 2014…just amazing!!! I loved every minute of it. She is a fantastic teacher with a great deal of knowledge, very caring and supportive to me and with everyone in the workshop! She is also a fantastic healer. When we would divide into groups to practice doing healings or belief work, she would hit the core of people issues and help everyone so much. This inspired me to take private sessions with her, and they are blowing my mind in being powerful! I recommend her very highly as a teacher, healer and a beautiful soul! I recently completed the January ’13 ThetaHealing Basic Workshop with Judy. It was the most amazing workshop I have ever taken, and it completed all the “missing puzzle pieces” in my life. Judy chose me to demonstrate the belief and digging work to the class. I have had an insane fear of heights all of my life to the point where I get sweaty palms and feet even if it is just on TV! When Judy took me back to my “first” experience of this fear, I was instantly transported to another place and another time – hanging onto a cliff high up, feeling a rock slip under my feet and tumbling 1000’s of feet to my death – the emotions welling up were super intense. I was able to transform and let go of it all – the release was HUGE! Every piece of information I received was immediately able to be applied practically in my life…that is, I left the seminar with a great bag of “technique tools”. Since returning home, I have done so much “hard” work on myself and with my husband – transforming old belief patterns that no longer serve us! Judy’s expertise, integrity, fearless honesty and connection to the Creator make every moment of this class feel like an immersion in the Highest Truth. By the time the weekend was finished, it felt as though I was there for “a hundred years” -we worked so hard and spent such a big portion of the workshop in Theta state, which is timeless! ThetaHealing truly sets you free – to live your life to the fullest – create every moment in time with clear intention and presence! Thank you, Judy, for facilitating this Divine workshop, and thank you for all the incredible work you do to help set people free from the bonds of REACTIVITY! 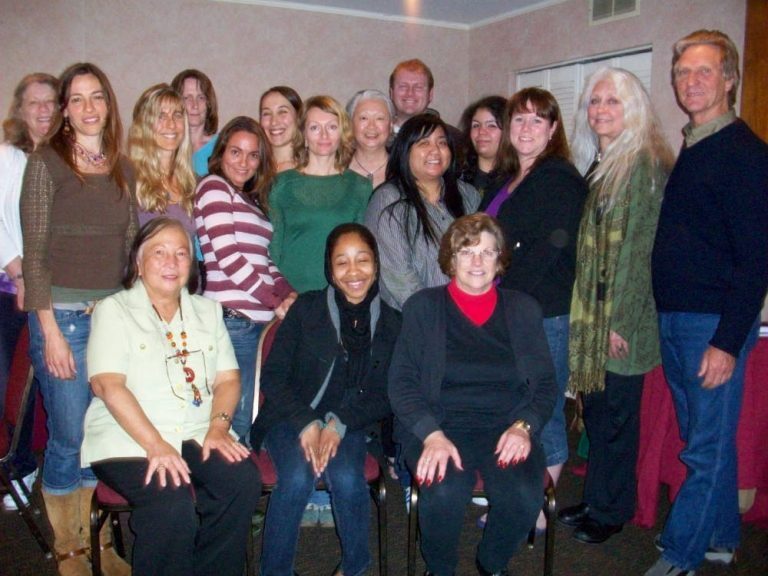 I had the honor of attending Judy’s ThetaHealing Basic DNA workshop that was held January 25-27th, 2013. The subject matter and Judy’s knowledge of ThetaHealing, quantum physics, metaphysics and other topics was incredibly impressive. The space that Judy created made our 3-day class enjoyable and fun, and her ability to teach is natural. Anyone who is looking to expand their knowledge of the healing arts will have their minds blown by ThetaHealing and Judy’s work. If you want to learn more about yourself and take your abilities as a healer to the next level, this is the class to attend. Judy is a treat and a gift to us all. I have been blessed to be a ThetaHealing student of Judy for the Basic, Advanced, and Manifesting classes in 2012 and 2013. Judy is a superb teacher. She has a high level of mastery of the material that she embodies. Her dedication to “walking her talk” is apparent in how congruent she is, which adds to her potency as a teacher. She is generous in what she shares with us both verbally and in written form. She appears effortlessly connected to Source while she works, and is outstanding in how she can track a client’s personal paradigm to free up root beliefs that produce suffering and limitation, download teachings from the Creator, and open a client to expanded freedom and connection to the Divine. I have done several private sessions with her and have given her work as a gift. I have successfully worked with her to heal wounds and remove limiting beliefs and release the past in relationship to my life history, family of origin, lineage and culture, as well as to improve family dynamics in order to remove blocks to manifesting what I want for myself both personally and professionally. Each time we work together, we go deeper, especially with releasing those stubborn regrets and resentments. I am awed by how much potentially life changing healing work can be packed into an hour long session with her. 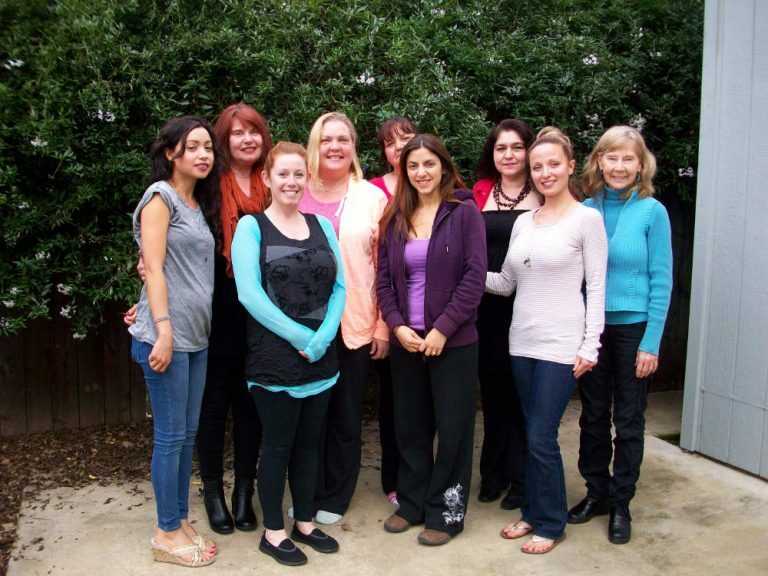 The August 2013 ThetaHealing workshop was amazing…everyone in the class experienced profound levels of clearing. I was amazed at how easy Judy made it. I was starting to tell myself I couldn’t do it, and she just did some clearings, and then I managed to do it. No big deal. Judy’s manner is very clear – she describes everything very well. She is also lighthearted and fun, caring and wise. Her knowledge is extremely broad, and her digging skills blew me away! I feel very grateful to have been a part of her course. Thank you, Judy! My training in the ThetaHealing® Basic I and II in April ’12 and the Advanced in June ’12 from Judy was an incredible blessings to my life and my practice. I incorporate it all the time in what I do as a naturopathic doctor who specializes in mind-body medicine, and I have seen incredible results. I am so grateful for this information and how it is helping my patients heal quickly on very deep levels. My experience with Judy as an instructor was wonderful. She was very clear and offers incredible experience and insight. 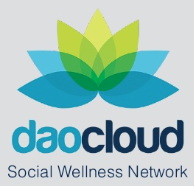 To support students in continuing to grow and practice in ThetaHealing Technique®, Social Media, like Facebook, Twitter and Instagram, have groups for students and practitioners. You are invited to join one or more of the many different focused pages or groups as practitioners.